I’ve broken up with a few men in my time. It was nearly as painful as being dumped. Okay, maybe not. But it was the one time in my life where I had few words. I could have used Ian then. Ian gets it. He’s got the phrasing. Posted on February 7, 2012, in School Assignments and tagged Chase McFadden, funny kids writing, funny school assignments, how to break up, Humor, Leanne Shirtliffe, not my type, Stuff Kids Write. Bookmark the permalink. 10 Comments. Leanne is a girl, and she writes fun stuff. I do like having her as a friend. lol.. I thought it said “she is not my fire” woah! I love this! So cute..
Oh this was too funny! 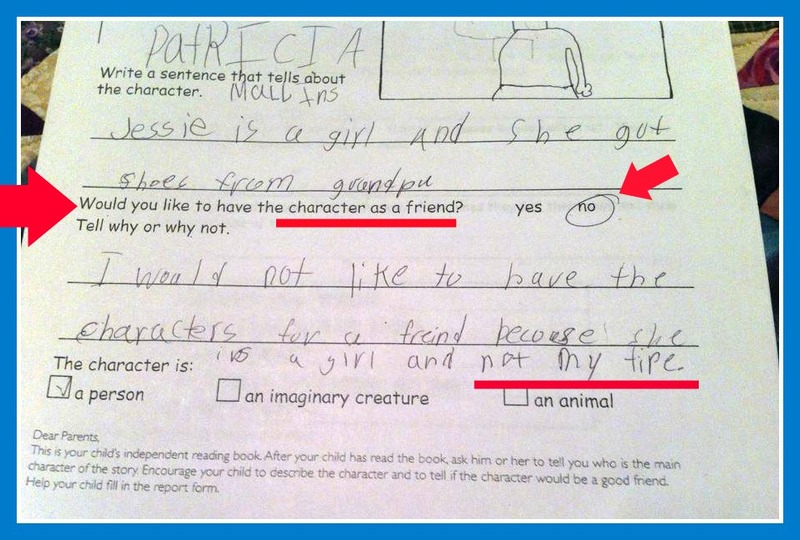 Young people thinking they have a type… HAHA. The things kids say, OUTRAGEOUS! I’m hoping when my littlest sister grows up and starts talking that she will say some funny things!